It was a sunny Sunday morning ride to do a favor for an out of town friend. I had to feed her cats. As usual my iPod was hooked into the car stereo and “Something ‘Bout Love” was playing. Pulling up to the stoplight, I was first in line to go when it changed to green. A man was standing on the grassy island that separates the traffic coming to the stoplight at this busy intersection. He was simply dressed in a white long sleeve jersey and dark colored sweat pants. A baseball cap shaded his head from the sun. The most remarkable thing about him was that he held a sign. I was not sure why he was there until I read the sign. It said, Homeless. Anything will help out. Thank you. The skeptic side of me wanted to dismiss this scene and not look at the man. My heart told me to look him in the eye. It’s amazing how a few seconds spent sizing up a man holding a sign will soften your resolve to just drive past him. Did I believe that this man was motivated by self interest? You bet I did. If no one was going to hand him a place to live, he was going to do everything in his power to get by, including standing on a street begging for money. I can respect that. Did I consider that he might be an addict looking to pay for his next fix? I did. I can’t even imagine the pain that an addict feels, when in need of a fix. I decided not to press him for details on what brought him to this place in his life. Secretly, I hoped he would make the most out of what donations he got on this day. Maybe enough for a warm bed and a hot meal. The offer of a job, rather than a handout of cash, would surely help his situation most of all. I had a brief exchange with the man who stood on the grass holding his sign. He thanked me in a soft voice. When the light changed to green, I was on my way again. David sang “I won’t shed a tear, just as long as you stand by me.” It doesn’t happen too often, but I had tears in my eyes. For the man who had to resort to standing on the street to beg for money to live just another day in paradise. 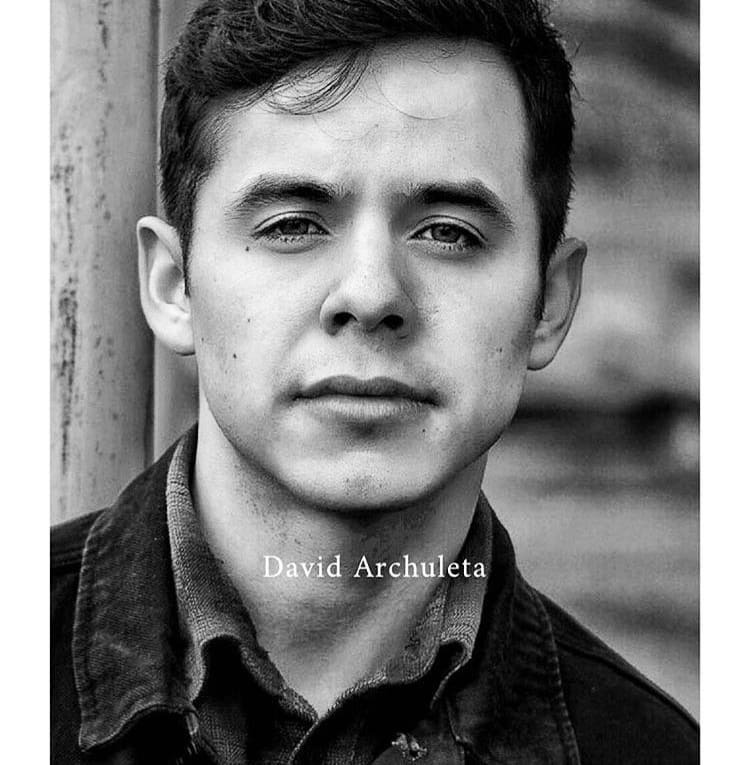 This entry was posted on Thursday, November 22, 2012 at 1:37 AM	and is filed under David Archuleta, Respect, The Voice. 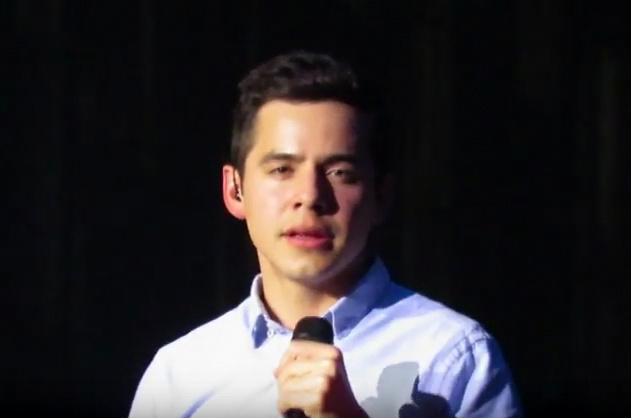 Tagged: another day in paradise, David Archuleta, Happy Thanksgiving, something 'bout love that conquers all. You can follow any responses to this entry through the RSS 2.0 feed. You can leave a response, or trackback from your own site. I love you, Abrra. Thank you for your tender and timely reminder of the true source of all that is good: God – and through him, the human heart. DA has what I call, a ‘naked heart’. Was listening to some Eva Cassidy the other day (one of DA’s many gifts to me) she has one, too. May all hearts be clothed in brotherhood this day – and always. Very thoughtful post; perhaps as humans, our main purpose is to help one another. Wishing everyone here a wonderful day and a Happy Thanksgiving (to those who celebrate it). Beautiful article !! God bless everyone out there !!! Grateful for your thoughts and the Pictures. Bless your heart and Happy Thanksgiving. Counting Gratefuls on this day. …But for the grace of God….Many lessons can be learned from those less fortunate for sure. 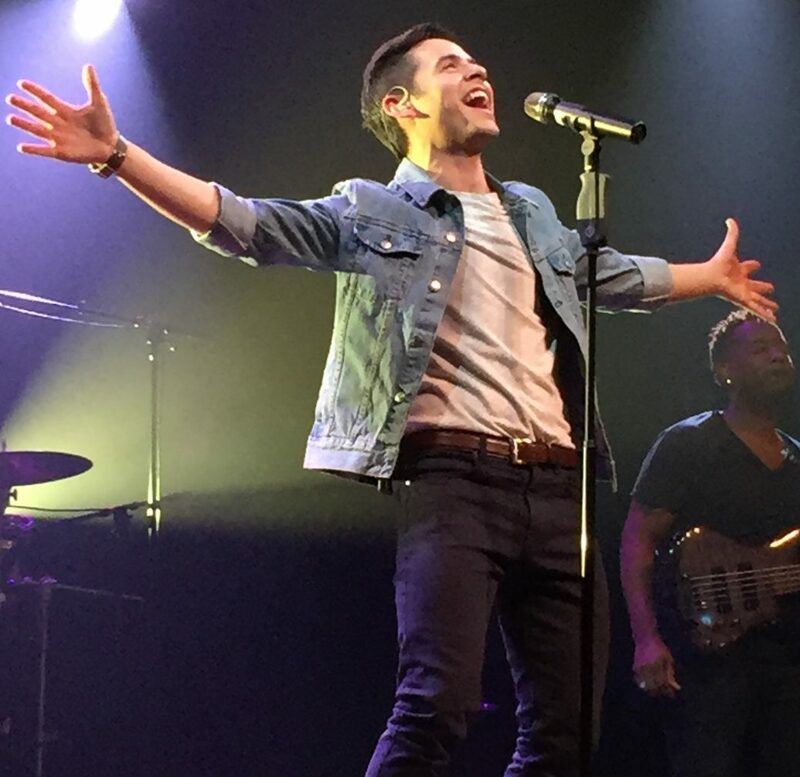 Grateful for TheVoice ……….Something ’bout Love for sure. Happy Thanksgiving to all. I’m so thankful for my wonderful life surrounded by beautiful family and friends and I give thanks to God everyday for all my blessings. I also want to thank all that is involved in making this site so much fun to visit. Gobble! gobble!! Abrra, what a beautiful sharing from a tender heart! Thank you. Happy Thanksgiving everyone. Eat lots of turkey and pie. I hope David has a happy Thanksgiving too. Thank you Abrra for the timely reminder that each of us can do something, no matter how small or big, to help those in need. Love that beautiful picture of our favourite guy up there and all the equally gorgeous ones in the sidebars. Oh and one more thing, I am thankful for this site and all of you and the waiting that we are doing together. Gotta say, we’re pretty awesome! Also I’m thankful that I just found my Christmas from the Heart and Glad Tidings cds!!! They were stashed away in who knows where and I just came upon the where!!! That teaches me to only play Christmas music at Christmas time! Have a wonderful day. Sorry to use this space to talk about this. I apologize. Last night, a dear friend told me about a new blog. I read extensively, the main theme is the invasion of privacy of David at this time. The article refers to my invasion into the privacy of David. I seemed unfair to waste my time in answering, I just put the other cheek. Thank you for the heartfelt reminder of what the human heart holds. Love, and caring, and a giving nature. Although our lives are not perfect, we need only look around to see how lucky we are. There are so many less fortunate. Big or small, each gesture of kindness makes a difference. I am thankful for so many things, and one is this place and all of you. Glaydys, don’t pay a bit of attention to that blog. You are a true fan and extremely respectful. Can’t wait to get all the wonderous, magical recaps in December. I know about the blog you mentioned. Please don’t let it get to you. All of us here know you have a great respect for David. Everyone sees things differently. They have a right to feel the way they do, AND SO DO WE. 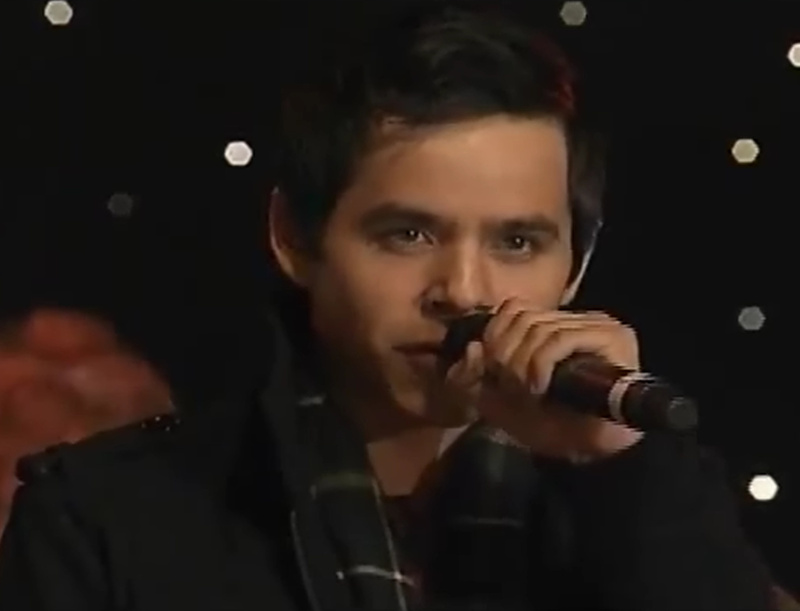 There is nothing more beautiful than David singing Christmas music. Abrra, thank you for the beautiful and compassionate reminder on this Thanksgiving Day. Gladys, no worries, it is what it is. I believe it is not accidental that you have been blessed with these opportunities. You caused me to rethink… we never know what a person is going through, or has gone through, to be driven to stand out on the street, as the man you encountered was doing. I am proud and thankful to know you Abrra,and all of you here!! Gladys,I hope you enjoy every single minute, I am so excited for you!! Just forget about that blog or whatever it is. David, and Eva…the only two people, whose beautiful gifts,can bring tears to my eyes.So glad too I found Eva, through David. 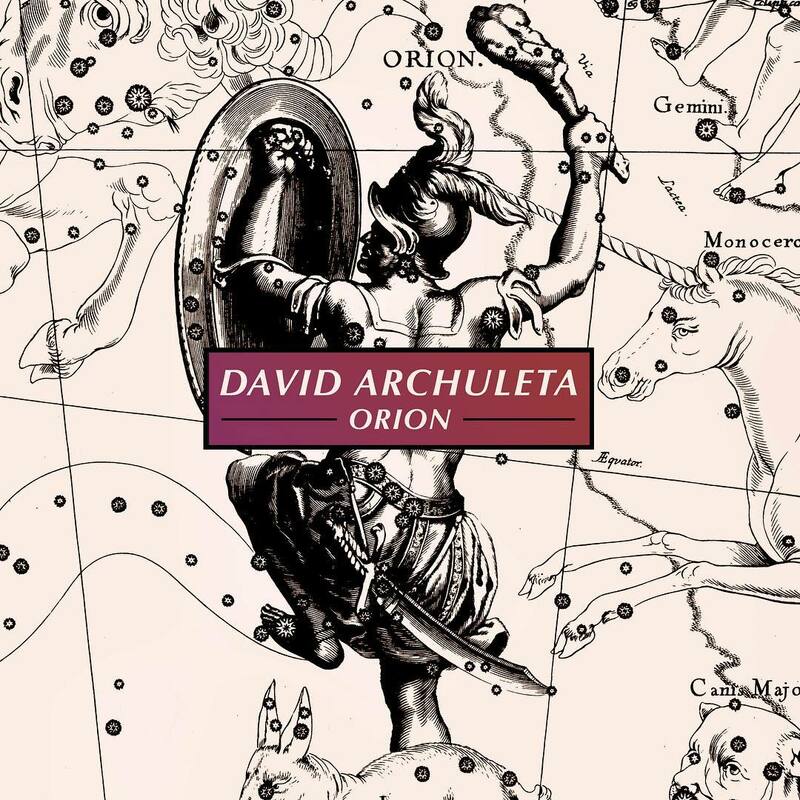 I was out early raking leaves,while listening to David,and Eva a couple of days ago!♥ They are indeed ,musically kindred spirits. Thanks to all who read and comment here. I always enjoy reading your thoughts. David is an inspiration to me and I am trying to be more considerate of my fellow man. I wasn’t sure how this story would be received because everyone has a different reaction to those who beg for donations. I chose a logn time ago too accept the fact that if things are that desperate, maybe I can make the day a little brighter in a small way. I hope that however you celebrated today, that you made the most of what you have. In our house it was low key. Both my daughter and her husband are hospital employees who work with the mentally ill. They had the opportunity to earn extra pay by working the holiday. I was happy for them and enjoyed a quiet day. Maybe for some this is heresy 😉 but I am glad to have the option to not go through all the cooking rituals. I have read the blog you mentioned. I will not post a link to it here on this site because it is so hurtful and judgemental in it’s tone towards some fans. Your comment was held back because the blogger is not going to allow anything that is not in lock step with their agenda.If you comment ever does show up, I would be very surprised. My hope is that they will come to their senses and delete the site. gladys, its good will that you be there,go with happy heart. Abrra, Your article reminded me of what my dad told me when I was young in an answer to my question on why he always handed money to those out in the street if they were probably going to buy drugs or alcohol. He said he couldn’t worry about that. If it helped just one that was reason enough. Thank you. Happy Day of Thanks to All! Abrra, I think this is a lovely article. Especially on this day. We give thanks for all we have and pray for those who are less fortunate. I understand why you teared up. 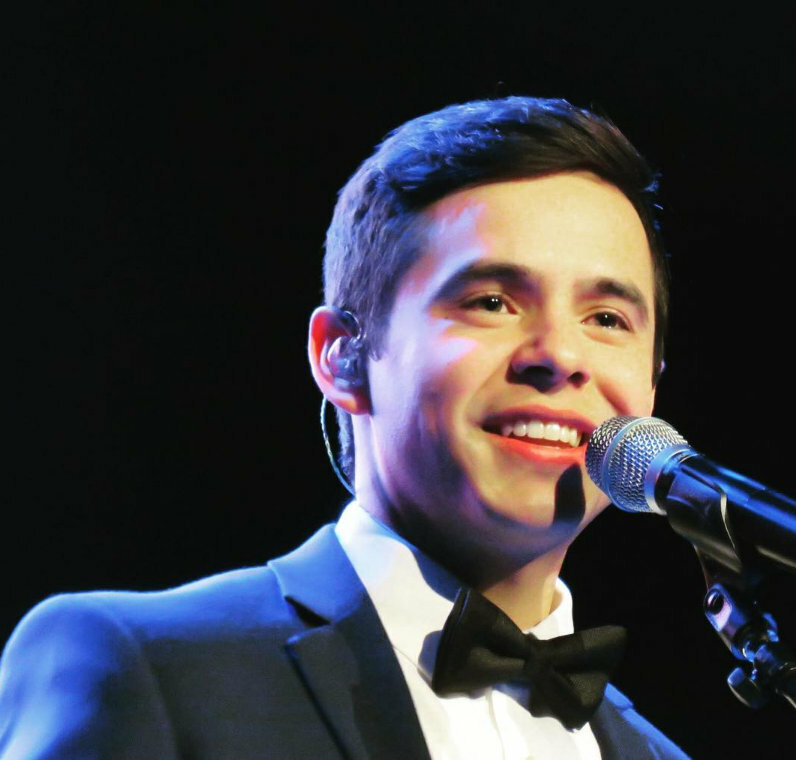 You have a lovely heart filled with compassion, just like David! Oh Gladys, those folks at that blog haven’t a clue! 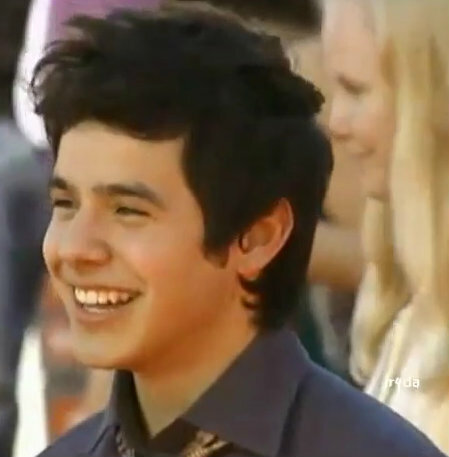 You are a wonderful David fan! You have done NOTHING wrong! You followed the necessary rules without our EVER stepping out of line. PLEASE don’t listen to their rants, and whatever you do, DON’T return to that blog. They don’t deserve your time of day. I think David would approve. Happy Thanksgiving, for me a day of many blessings and reasons to be thankful. I love this article and knew who wrote it before I actually knew who wrote it. Abs, you have one of the biggest hearts there is. I know this personally. Gladys, you have a huge gathering of angels right beside you. Always know that. Hope everyone had a beautiful, delicious, peaceful Thanksgiving with family, friends, or in quality time on your own, as Abrra did. It was just me and the hubs and we are enjoying the down time very much. No Black Friday for me, thank you very much! About the post, we had a discussion on this topic years ago at Church in our women’s gospel doctrine class and many pros and cons were bandied about. What if he is using the money for drugs or just doesn’t want to work? After all the opinions were voiced, we finally agreed that we should just give cheerfully as though it was for the least of these, (and therefore, to Him) and leave it in the Lord’s hands. It’s not for us to judge another. Well, off to hurt myself again eating more turkey and dressing and apple pie left-overs than I need. So thankful for all my blessings and for all of you. And for David, who is the purest example of non-judgmental love I know. Kari says get your cards for his birthday or Christmas to her BY NEXT WEEK!!! Let’s show him some love and that we remember him. This will be his first birthday and Christmas away from home. 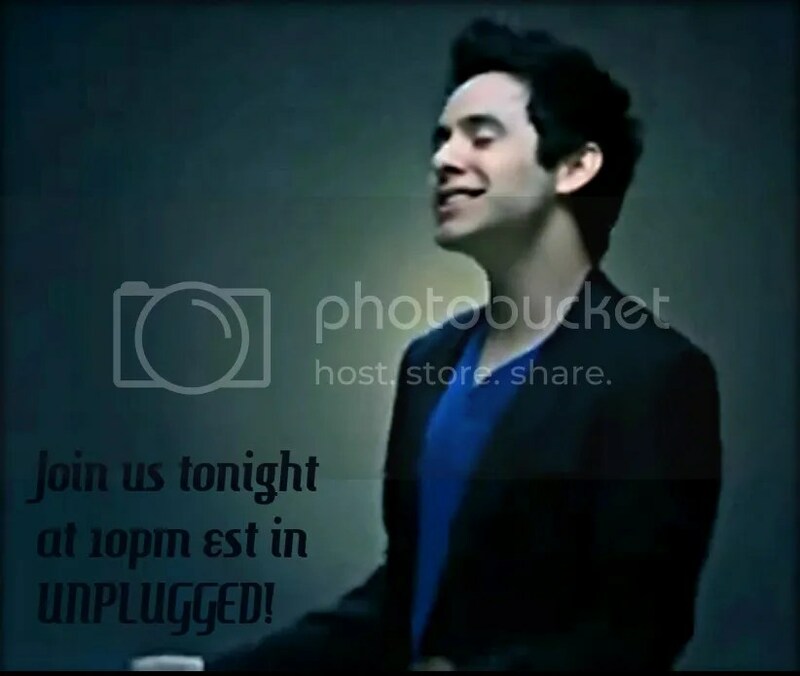 Now is the time for all good Archies to come to the aid of their David-man! I don’t do any shopping. I give green. 😉 I enjoy seeing what someone decides to get for themselves (with my green), rather than return some gift I thought they would like. Did I tell you this story after it happened? Am I so transparent when I write? Haha! And in the category of “when worlds collide”, I was listening to a podcast today about my favorite computer game World of Warcraft and learned that Sam Condon did the music for the latest game content. 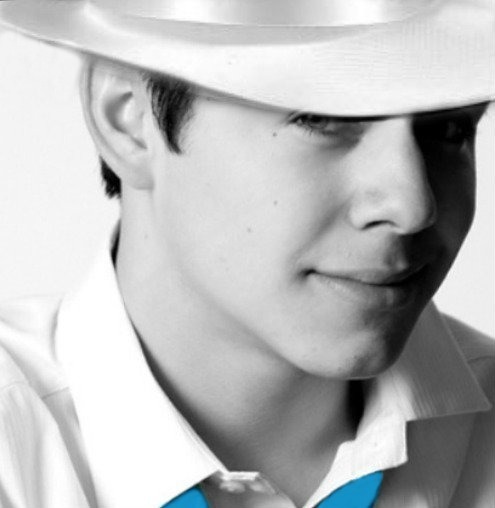 He worked with Kurt Bestor on CFTH. My 2 obsessions (David and gaming) have something very cool in common. 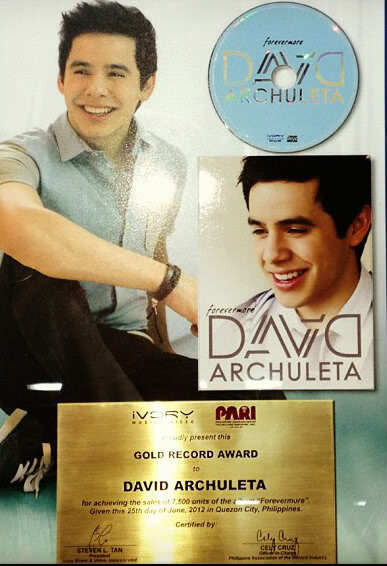 Yes everyone get their David mail to Kari by next week! 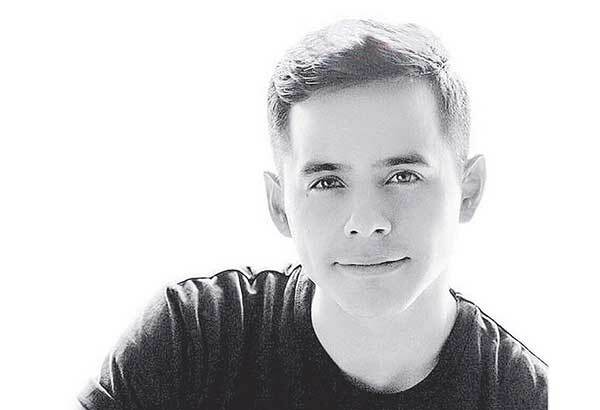 Who could resist getting busy with their Archuduties, with him looking right at you like that!! whoa! No Black Friday for me either, (though I will admit seeing a 60 inch flat screen TV going for 149.00 at Wallymart had me tinkering with the idea just for a fleeting itty bitty second).My daughter went there at 9pm last night and the parking lot was full already. I am already tired of the turkey but mine has been around for 3 days with an early celebration feast. Emme, yea!we are in the 4’s!!! Gladys, in that blog they use the example of a street with a no trespassing sign. But what about people who live on that street? Aren’t they allowed to invite guests? You were an invited guest with permission. You have nothing to worry about. you wrote. It’s all about being there for each other, isn’t it? That’s why Thanksgiving is my favorite holiday! I love that it’s a family holiday and that airports are busy with people getting to their families and traffic is bad because people are traveling home. We spent the day at my inlaws in NJ. Effects from Hurricane Sandy were still in evidence, not even three weeks ago. No Black Friday shopping for me. I started doing some of my shopping online a few weeks ago. It beats standing on those lines. Coupons can be used online too. Gladys, we are here to support you; don’t forget it. 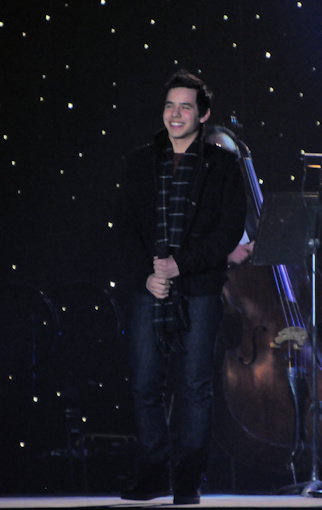 Here’s David at the New York City Thanksgiving Day Parade four years ago. 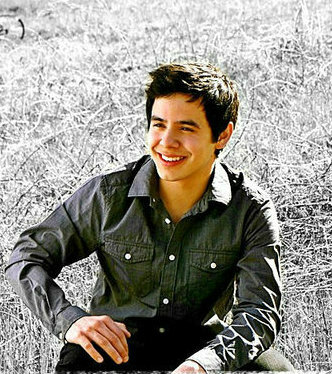 I know it’s an old pic and that Abs posted one earlier but you can’t beat that smile! I DID work it. Aiy yi yi. I can’t complain, just spoke with my daughter and she worked 16 hours today at her 2 jobs at a mall. She deserves an award or something lol. I remember feeling like this yesterday, right after I ate a full turkey dinner. Only this time my tummy is comfy. And… if it could… I think even the turkey would be smiling. bluesky – I hope I don’t incur wrath..
Awww. What’s a little wrath among crazy people? Er… I mean friends. 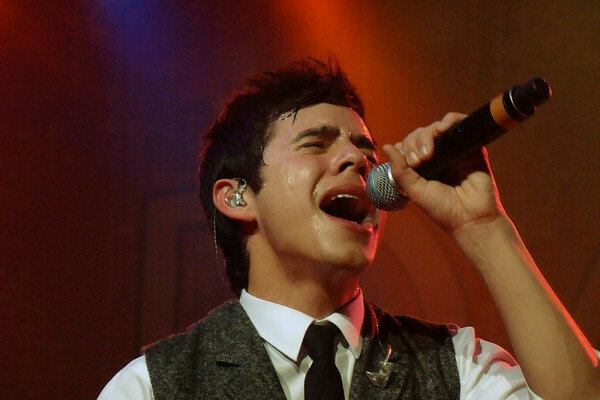 How I love just watching him sing with both hands free and no mic in the way…. SO fun!! Don’t know why the happy face is over the letters…I didn’t type it that way. And I can’t blame it on my phone, I’m on my desktop! Whatever!! 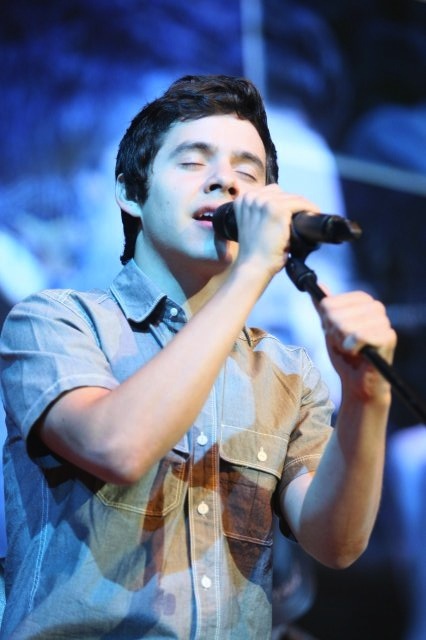 Bluesky, I agree, I love the hands free singing! Jan, haha Is your keyboard spazzing with you? Love the bebopping shoulder action. He has such graceful natural rhythmic movement. 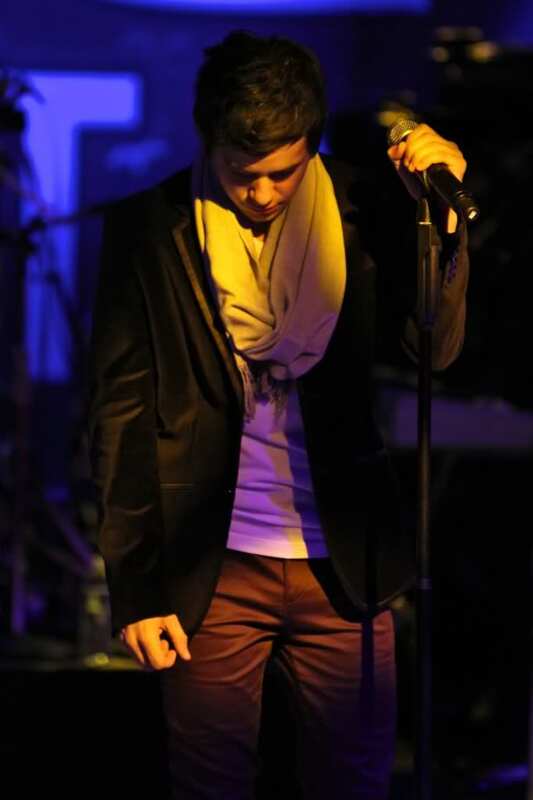 I hope we start seeing him more like that on stage when he returns. He needs a head mic to keep those hands free and encourage a little more dancing! OW! .yep, I am awake.I think. anyone else seeking solace? this helps.I will keep busy with my archusweat, I mean my Archuduties this morning, till #37 maybe or not returns. Once the CD is out, as it is in Asia, all bets are off. Time to release it here! Why does this song come to mind? I just imagined DA singing that. That’s what I get for going to bed at midnight thirty! Missed it dang-it! Someone may have put the Rainbow Remix MV in their back pocket 🙂 See you in Unplugged tonight? Well, tarnation! I’m from the south with plenty of “home training” but I sho nuff have a powerful hankerin’ for that video! I made a few scream caps from it last night if y’all don’t mind. By the way, the DJ on this station promised to play Melodies of Christmas 4x today..already heard it once. Yay! Missed it last night so just waiting for the mailman. Noticing more sidebar stuff, a greaaat idea, btw, Abrra. Anyone know where he was – pic on the right sidebar, grey tshirt, hands in jean pockets….a hockey game? Melodies of Christmas! thanks Martha! Thx! I wanted to do the pictures for awhile, just decided to do a big push to work on them recently. The picture you mentioned is from tumblr. Just a guess, but it looks like he went to a concert and someone snapped a picture of him from backstage. See the drum kit to his left? I watched. I did. Several times. LOL And I sure hope it’s back soon. I miss it already. But those scream caps help. 😀 Thanks Angelica! LOL Emme, Yep He is somethin’ somethin’. And those moves are somethin’ too. For those who missed it, just know that it will definitely put a BIG smile on your face. 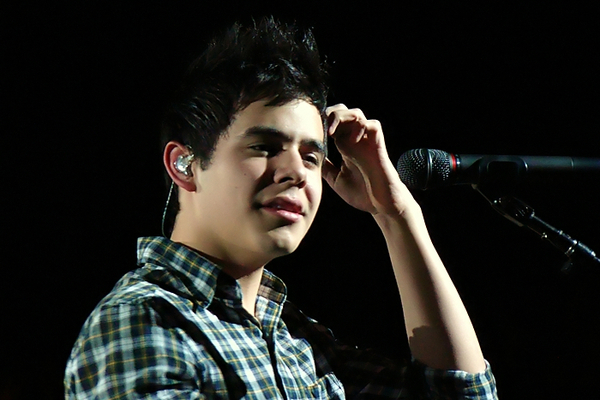 Awesome to hear that some DJs are starting to add David’s Christmas songs to the mix! I love hearing his beautiful voice coming over my speakers, surprising me while I’m driving. I will for sure be in le chat tonight, Abrra. And now, to pass the time and take my mind off the fact that they took my sunshine, er…my rainbow away, I will go make a chocolate pecan pie from scratch and maybe eat the whole thing. Abbra, thanks for the memories! I have been listening to the 2009 Christmas Tour cd that you sent me! 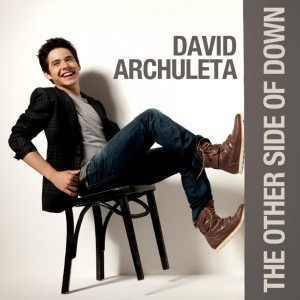 ♥ It is so awesome and brings back all those memories from his first concert. I guess I’m grieving because it hurts to remember the good times that he has brought to us. I wil be there in chat too, to help perk me up. Abrra, I love that David encourages us to share. He knows what makes us happy, and there is no better feeling than giving freely. I don’t think we should concern ourselves too much with what is done with our gifts. When I was young my father told me the giving was our responsibility. What was done with the gift was not. Of course he did not mean we should just throw our money to any cause, but if a gift is given freely it is counterproductive to want control. Angelica, ty for the scream caps. No matter how large a container I have, it is never too full for more David gorgeousness. Gladys, if all fans were as respectful as you, there would be no problem. You are one classy lady. 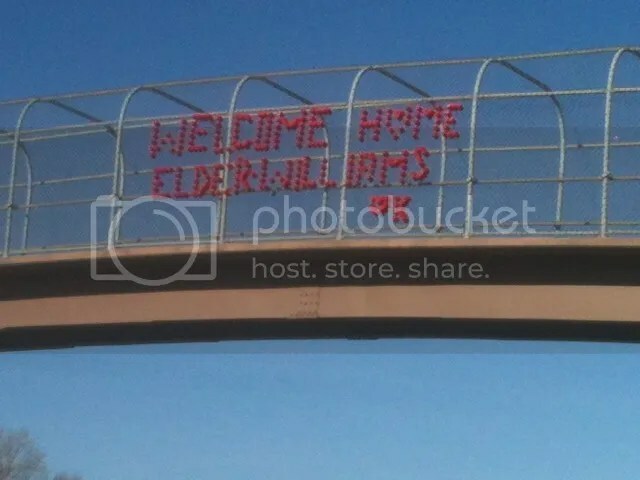 It is a common occurrence around Salt Lake City for “welcome home” messages to be placed on any freeway overpass made from plastic cups stuck in the fence. I did not pay much attention to them until David left. 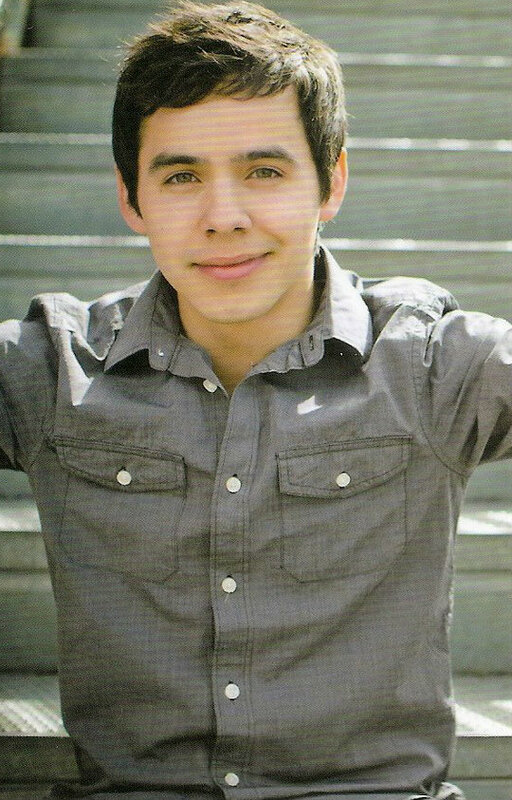 Now I see them and think how exciting it would be to see “Welcome Home Elder Archuleta”. There is also an abandoned cement factory that has displayed these messages for at least 50 years. Wrote out my Christmas cards today, including one for D, along with a birthday card. Hope he feels as good getting it as I do sending it! Oh no I missed the Rainbow MV, I missed chat and I missed whatever new that got played in chat! 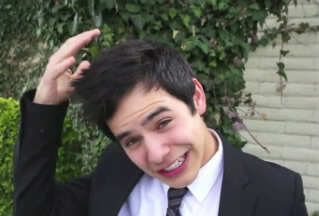 Real life got in the way of my David world. But those screamcaps at #63…..!!!! How did they turn his lips so many colours? And that shadow – killer at whatever o’clock!!! 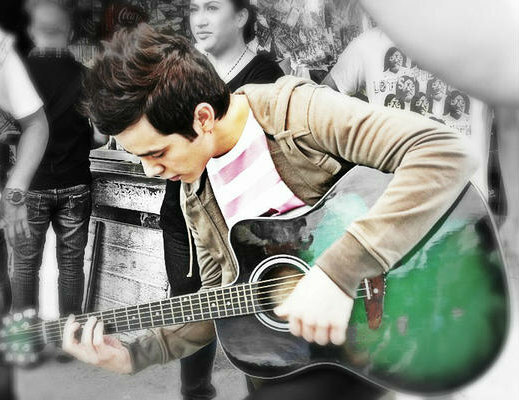 I want to hear him sing Two Different Worlds. Check your email please? We missed you last night in chat. It was a full house again. Spending time with fan friends makes the wait more bearable. So happy that you got to come to chat, finally. It was exciting to see David so bouncy in chat last night. Funny how you can watch the same video 20 times and it is still fascinating. Of course that only works if David is the star. You are right – spending time in chat makes the wait more bearable! Love it!!! Please check your email. Would love to carry on this conversation in the next article. Loved your comment! Dayzee, the swinging and swaying David is very fasinating to say the least! And 20 times isn’t even enough! 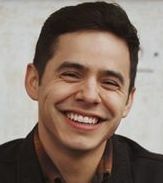 It will be so good to see some of those “welcome home” signs for David when the time comes. And that won’t be soon enough! Great insights Abrra….cadara!!! Whenever I drive/stop at traffic lights with people who are selling papers, water, etc, I always engage. 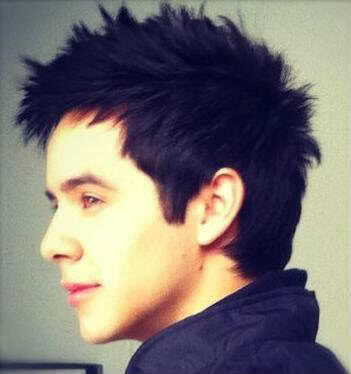 Some because I am naturally in groove and some because of the awareness of the needs of others b/c of being a David fan. Ahh What a wonderful way to spend a Sunday. Lost in a singular vortex! Getting dizzy. LOL But that’s okay. Nice to see you again 🙂 David has raised our awareness of those less fortunate. We have all had a time in our lives when we had a personal struggle of some kind. A helping hand means a happy heart for both the giver and receiver. Apparently Elder Archuleta’s mission is going to have a big sports day in a stadium in Rancagua on December 21st to celebrate the Christmas holiday. They will be dividing up into teams. Sorry this is in Spanish but you can use the much useful these days “Google translate”. Emmegirl, Please check your email and spam. Sounds like a day of fun! Thanks for the link. Whew!! Real life took over (and I mean t.o.o.k o.v.e.r) this last few days!! I woke up this morning not even knowing what day it was— really! But, that part of real is taken care of and now ‘my’ real is back online! 🙂 So sad I missed chat Saturday. Even more sad I missed the MV. I could have used the relief. Waiting for the mailman. Abrra, your comments are intriguing. I’m one of those that tends to shy away from strangers. I have so many thoughts go through my head when I see them. I feel bad – I don’t feel bad – what do I really feel(?). I’ve helped a few times, others I’ve passed by. Just me, and me is who I am. Fen— has your mail come yet? I read a book once by two guys that lived “as homeless people” for 18 months. They said even the smallest, kind gestures could make their days better. I liked their idea to keep bottled water with protein bars/granola bars in your car to hand out. I love the notion of a “naked heart.” Thank you for teaching me about that. I think most children have naked hearts too, somehow. It’s something i will think about for a good long while I think. #91 Mlpb3 Archuleta and Pena is listed under group #2, so it seems that David will be participating. ♥ Wonder what they’ll be doing? Thanks for the link. I translated with google and it sounds like a fun day of activities with lots of different sports and everyone participates. He should have a blast! My Thanksgiving company has finally left, and I am able to read Abrra’s wonderful article. “No matter how comfortable we are in our lives, there are still so many others who struggle each day for a meal and a bed to sleep on.” So important to remember this, especially when we get a bit too comfortable. A few months ago, I came upon a child who had fallen down alongside the road. I pulled over and after a phone call to her mother, drove her home…which was a dirty, cluttered, broken-down trailer. The mother emerged from the home, and the relief and joy in her daughter’s eyes, as well as the love and concern in the mother’s face, just melted my heart. I have had the honor of spending more time with the daughter, and I am continually impressed with her positive outlook on life. She reminds me how incredibly lucky I am and how trivial my problems are. I also realize that the difference between her mother and myself is not in our character or our desire to love and support our families, but in the people and opportunities that I have been fortunate enough to have. I hope to be that person to others. Thank you, Abrra, for reminding us of what is most important at this time of year. Thank you for being that child’s guardian angel. We all hope for a kind traveler to assist our children if they were in distress. We never know what will happen sometimes when we turn them loose in the world.